The London Taxi Company has appointed Chargemaster as its preferred supplier for home charging units as it pushes ahead with plans to only produce range-extended electric taxis for the UK. Chargemaster is the preferred supplier for The London Taxi Company’s home charging units. On sale later this year and providing a replacement to the familiar TX4, the new range-extended model has been developed at a cost of £325m, which also includes the development of a zero-emission light commercial vehicle, and uses Volvo Cars electric powertrain system technologies and components comprising a new EV lightweight platform. Produced at LTC’s new manufacturing facility in Ansty, West Midlands for global sale, the range-extended taxi will also be able to seat six passengers and offer front-facing wheelchair access. 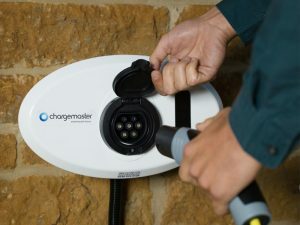 The new agreement confirms Chargemaster as the preferred supplier for home charging units for these vehicles.